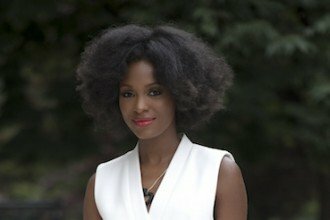 Editor’s Note: This post has been updated for 2018. Several of our top picks stayed on our list of faves, but two were taken off. However, we’ve added three new free wedding websites that we think are definitely worth checking out! So, you just got engaged. (Yay!) You let everyone know on Facebook and Instagram, but now it’s time to set up a more permanent website to tell your story. Nowadays, there are a TON of options to set up a free wedding website where you can offer information about your relationship and proposal, your favorite photos, information about the wedding and links to your wedding registry. Here are a few of our favorite free wedding websites to get you and your soon-to-be spouse started on the web. See more of our wedding website reviews here! We were kind of already in love with Zola’s wedding registry, so when they unveiled their new free wedding website last year we were pretty excited. Thankfully it did not disappoint and ended up topping our list. In addition to featuring 100 designs AND a super easy integration with their registry so guests never have to leave your site (that’s our #1 complaint with other wedding websites), it features a whole suite of tools that are all free. Our favorite? Their wedding checklist tool will actually schedule tasks for you (and take into account your religious or cultural traditions and if most guests are traveling to your wedding). 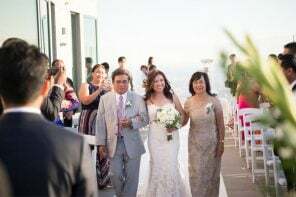 Plus, their guest list manager will even remind family and friends to submit their missing contact info or RSVPs (which you can keep track of directly from your wedding website). You can even share thank you’s and links to photos with them after the wedding. Set yours up here. This is definitely the most popular free wedding website for couples, and we can see why. It’s easy to set up and easy to customize, meaning you can get your page up and running in minutes – just the way you want it. Every template is mobile friendly, so your guests can check out your page on any platform – plus there are over 100+ to choose from. One easy-to-navigate registry list pulls in gifts from each of your registries, and you can even set up a donation to charity through The Knot. Plus, they have a surplus of other services to choose from including wedding checklists and budget tools. Set yours up here. Another big contender in the free wedding website space is Joy. Even though they just launched in 2016 they’re already the favorite of a lot of couples we talk to. 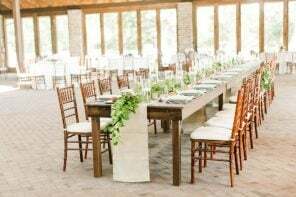 Their website designs (most of which pair with specialized Elli wedding invitation suites) and interactive features are some of the best on this list, including their stellar guest list manager. You can invite guests, assign +1’s to households, track RSVPs and even ask guests custom questions via a multiple choice option. 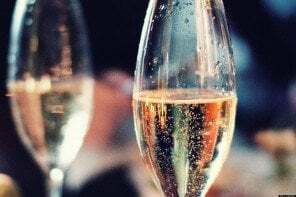 If you’re using a guest list spreadsheet you can also import it, as well as communicate directly with guests and send them e-mails and cards that match your personal wedding website. Set yours up here. 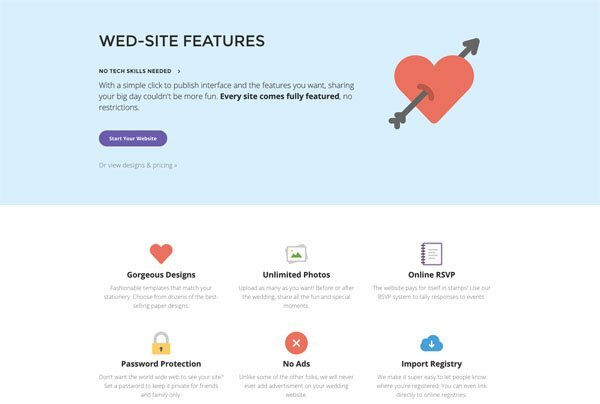 We love Wedding Wire for its vendor recommendations and all things wedding-related, so it’s no surprise that it made our list for one of the best free wedding websites. Even though we have to admit that some of their themes are a bit lackluster, we do like the new, photo backdrop theme that allows you to upload your own photo. So, if you’re a little creative here, you can definitely self-upgrade the features. If you’re not the photo type, there are another 400+ to choose from. Plus, we love that they partner with designers like Vera Wang to introduce fashion-forward themes that hit the design high-note. Also a feature worth noting? The customizable “Travel” section that includes a widget powered by Fly.com, where your guests can actually search for flights to and from your wedding destination, directly through your website. Set yours up here. 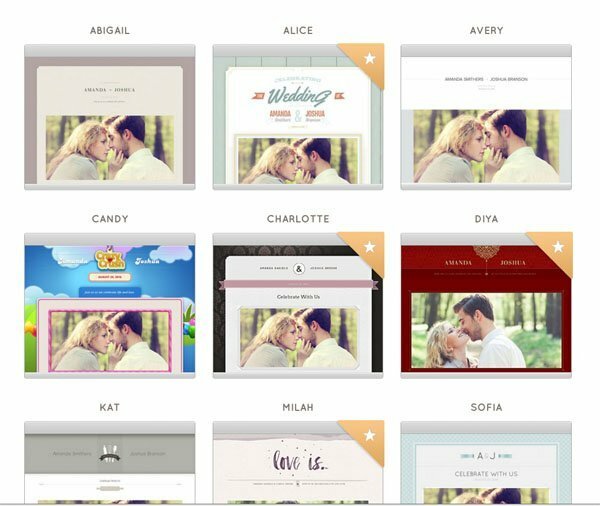 If you’re a fan of Basic Invite’s wedding invitations (which we are) then their new free wedding website tool could be a perfect match for you. 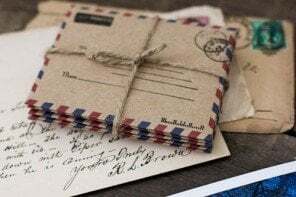 You can coordinate your Basic Invite wedding stationery with your free wedding website for a simple and easy to use experience for you and guests. 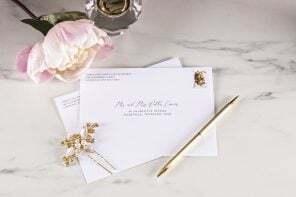 In addition to choosing a design that you can customize with over 180 colors, you can also collect mailing addresses and accept digital RSVP’s. One of our favorite features is that you can quickly print place cards for each of your digital RSVPs using your matching Basic Invite printed design. Set yours up here. 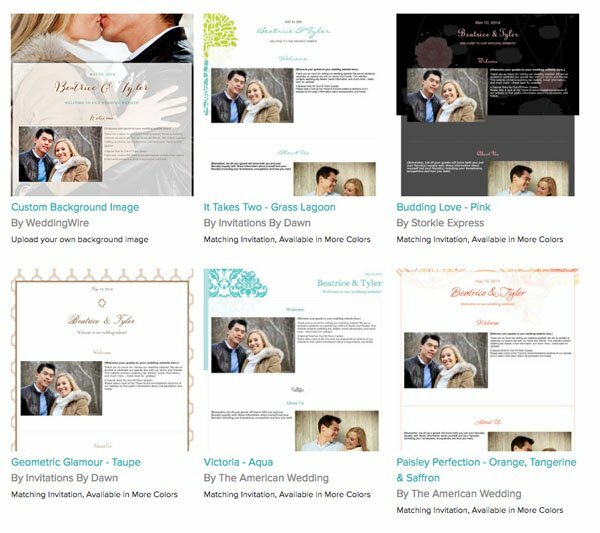 A partner with online wedding invitation company Wedding Paper Divas (now Shutterfly) among other invitation brands, Nearlyweds brings you a free wedding website that, like the versions mentioned above, can be customized based on your interests. While the designs aren’t super dynamic, it does offer all of the information your guests need in one place. Plus, designs match stationery from various wedding invitation companies if you’re looking for a cohesive experience. Once you sign up for a Weduary website via Facebook, your guests will receive a private Facebook notification that they’ve been invited to your wedding. Once they’ve logged in with their own Facebook account, they can get all the details about your wedding, check out who’s coming, share stories about you and your partner, and if they’re single, they can hang out in the ‘Flirt’ section, which shows them the other single people they should meet. Bonus? It’s all private, meaning only people who have been invited can see your site. 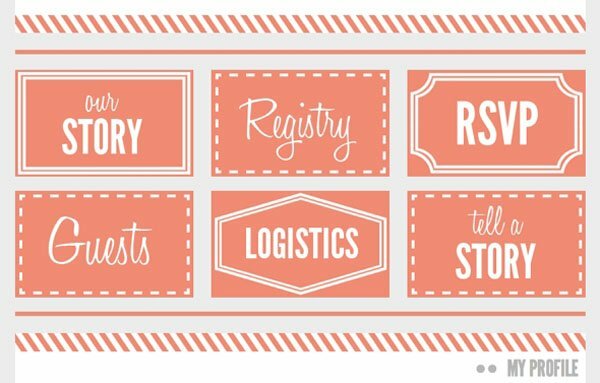 We also love that you can set up a registry page that not only includes a traditional registry but also a link to donate to charity and a custom registry with links to any gifts you choose. The form and functionality of this website makes it one of our favorites. While browsing through the designs, we were pleased to see a request page, where you can ask your guests things like “Can you send us your address?” “What makes you dance?” and “Do you have old photos of us?” We love how easy it is to communicate with your guests here. Also a major plus? Video! Definitely take advantage of this feature to incorporate your proposal video, a favorite song, or a YouTube favorite just to make your guests laugh. What’s your favorite free wedding website? Hello. Are any of the websites above more suitable for a “Destination Wedding” in Italy? Thanks for your help. Looks like Weduary isn’t taking on new websites/users. Just FYI, in case you want to update this list.